Aboriginal women who were status Indians acquired the right to vote in provincial and federal elections later than non-aboriginal women. 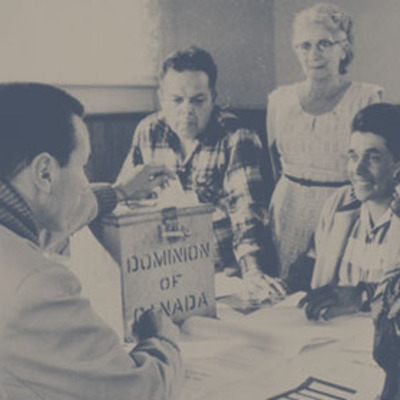 As is noted in the biography of John George DIEFENBAKER, prime minister from 1957 to 1963, it was only in March 1960 that men and women with Indian status became eligible to vote in federal elections without having to renounce their status or certain rights attached to their status. They were first able to exercise their new right from 31 October that year in a by-election held in Ontario.